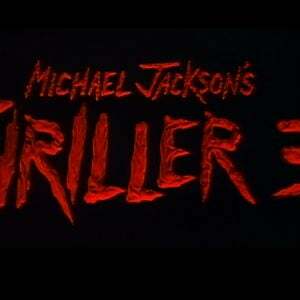 Michael Jackson’s short film for “Thriller” was the third of three short films produced for recordings from Thriller, which continues its reign as the biggest selling album of all time with worldwide sales in excess of 105 million as of June 1, 2016 and in December 2015 became the first ever album to be awarded triple diamond status (i.e. 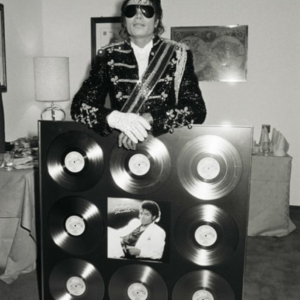 : sales in excess of 30 million) by the RIAA for US sales alone. 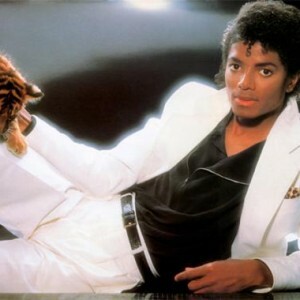 The “Thriller” single reached No. 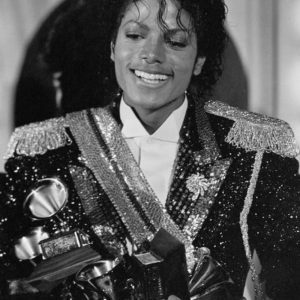 1 in four countries in 1984, topping the U.S. 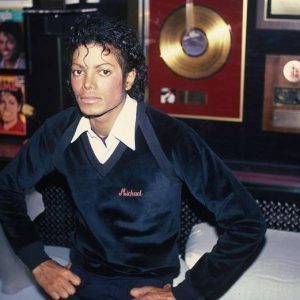 Billboard Hot Dance Club Play chart as well as charts in Spain, France and Belgium. 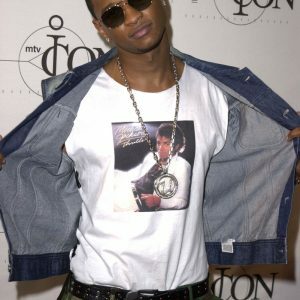 The song peaked at No. 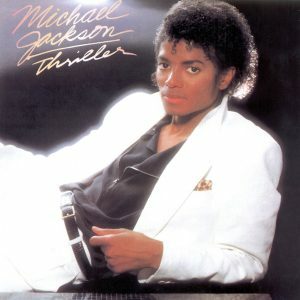 4 on the Billboard Hot 100, making Thriller the first album to feature seven Top 10 singles. 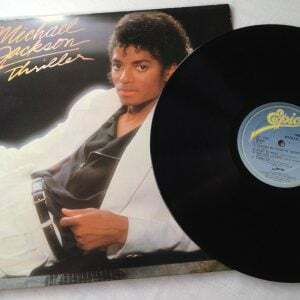 The Recording Industry Association of America certified “Thriller” Gold and Platinum on December 4, 1989. 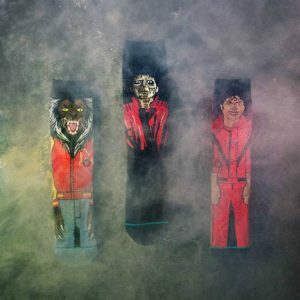 In the short film’s extended prologue, Michael’s moonlit date with his girlfriend (played by model Ola Ray) is interrupted by his sudden transformation into a howling werewolf. 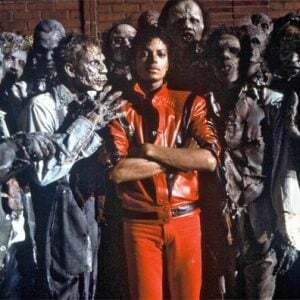 While the “real” Michael and Ola, observing the scene in a movie theater, walk home from the their date, Michael teases her by singing the verses of “Thriller.” Afterward, a horde of zombies rises from their graves, threatening the couple. 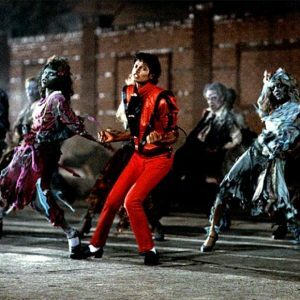 Michael soon turns into a zombie himself, and leads the troupe in an incredible choreographed dance routine to the rest of the song. 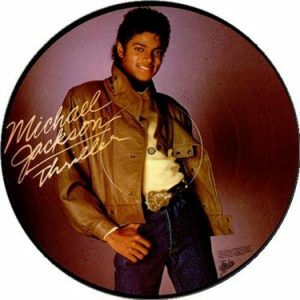 Afterward, Michael and the zombies corner Ola in an abandoned house, only for her to realize it was all a nightmare—though Michael offers a last, beast-eyed glance at the camera before the credits roll. 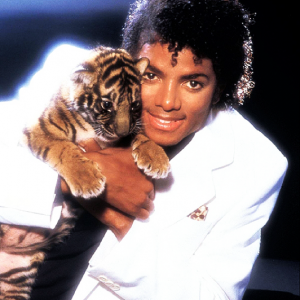 The “Thriller” short film has been universally recognized as the most important music video of all time. 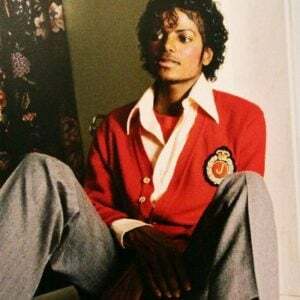 It first broadcast on MTV on December 2, 1983—the network’s first world premiere video—and was soon released on videocassette as part of Making Michael Jackson’s Thriller, a feature-length documentary that was named the Best Selling Music Video by The Guinness Book of World Records in 2002. 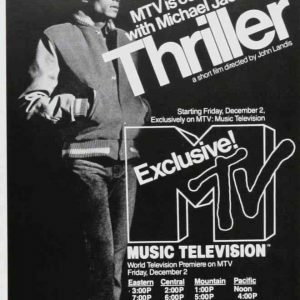 The choreography of “Thriller,” created by Jackson and Michael Peters, continues to influence popular culture. 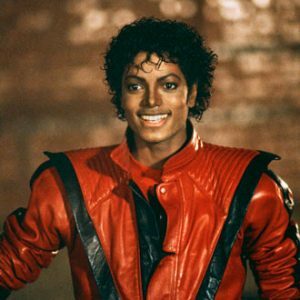 In 2006, a Guinness World Record-setting event in Toronto, Ontario, Canada found 62 people re-enacting the classic “Thriller dance”; this inspired an annual event, Thrill the World, where thousands of dancers in hundreds of events around the world organize simultaneous “Thriller” performances. 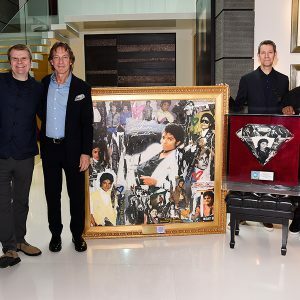 On Michael’s birthday in 2009, the latest group to usurp this record was organized by the Instituto de la Juventud del Gobierno del Distrito Federal, which brought together 13,597 participants in an event at the Monumento a la Revolución in Mexico City.